We offer plastic AA Tokens in a variety of colors for you and your home group. If you don't see the color you're looking for, please contact us! 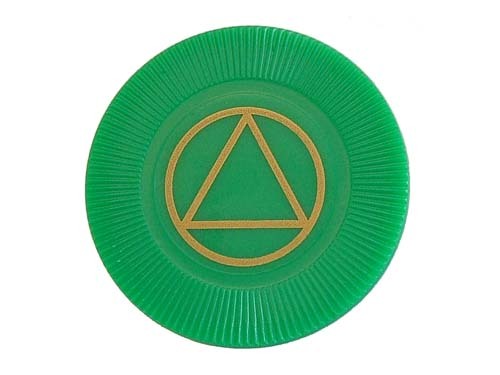 Description: Green Plastic Token with the AA Circle and Triangle printed on one side. Look for our AA Group Starter Packs, too!